With an endless array of options and features, choosing a stroller can be a daunting task. You want to make sure you the stroller you invest in will be workable for many years to come. This is why we did our homework on the Bugaboo Donkey, the brand that pioneered convertible strollers. We’ve put together an in-depth review to help you decide if this is the right choice for you. 1.1 What Types of Families Can Benefit from a Convertible Stroller? First things first: what is a convertible stroller? A convertible stroller does precisely what its name says. It converts from one seat setting to another depending on your child’s needs. Most allow you to change the orientation of the seat (forward facing or rear facing), the type of chair used (bassinet or buggy) and add a second baby seat option when needed. 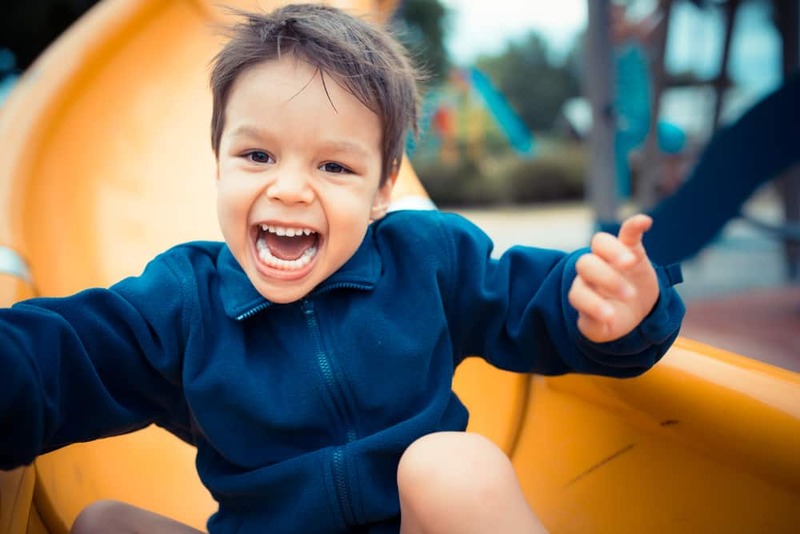 Some even allow a stand-up option for a third toddler child. Convertible strollers grow with your baby, taking them from birth to their preschool years. Additionally, most convertible strollers come with a car seat or are car seat compatible, allowing you to integrate your stroller with your car seamlessly. Given their utility and versatility, convertibles are among the most popular types of baby transport options. We know that choosing a baby-mobile is a long-term investment, which is why we recommend researching to ensure an excellent fit for your family. To help you do that, we’ve put together an extensive list of the best convertible strollers so you can compare the most popular models side-by-side. What Types of Families Can Benefit from a Convertible Stroller? Convertible strollers are a sound option for first-time parents looking to expand their families since they accommodate your changing numbers. Conversely, if you’re expecting twins, convertible strollers are great because you can use the double option right away. Parents who live in an urban area and plan to be out and about with their kids can also benefit from having a handy and durable convertible stroller in their arsenal. 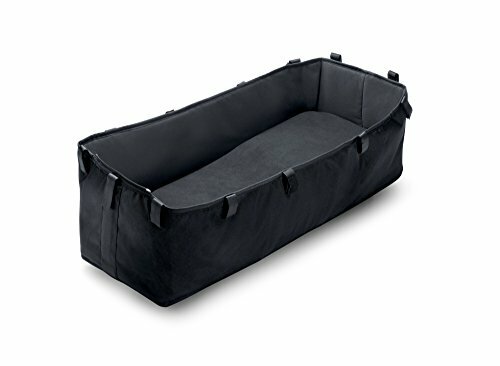 The frame allows the bassinet to easily convert into a seat and vice versa. Easily adjustable harness straps that can grow with your child. The Bugaboo Donkey is one of several models sold by Bugaboo. This customizable stroller promises to live up to its donkey name by delivering the most storage space of all the Bugaboo models. It comes with some functional items such as a rain cover, under seat basket, sun canopy, and a side basket with a cover. Bugaboo also assures that the Donkey will grow with your family with just a few simple clicks that convert it from single to double. The latest version of the Donkey boasts several upgrades from previous models: new wheels, an improved frame, and a more comprehensive selection of colors and fabrics. All these features combine to make an already outstanding product genuinely exceptional. The Bugaboo Donkey packs a lot of punch. It comes with a variety of features to make traveling with your little one as comfortable as possible. And not only is it functional, but you can also customize all the colors and materials to match your style. This is probably the number one feature that makes the Bugaboo Donkey so great. You have a number of seating options—single and double, front and rear facing—all with just a few simple clicks. Though one of the earlier versions of the Donkey is featured, this video from Bugaboo shows just how easy it is to convert the stroller from single to double. You can make the transformation you want in a matter of seconds. The freedom to change your stroller to suit your needs is probably the most significant benefit of the Donkey. Parents also love that the Bugaboo Donkey is compatible with a car seat and a bassinet, which means that you only need one stroller. With baby stuff taking over the house, having just one stroller is a substantial space-saving advantage. Bugaboo promises to make stroller-to-car transitions safe and quick, and they have indeed achieved that. Their click and go system makes getting baby in and out of the car a simple task. The Donkey is compatible with a wide range of car seats, though you do have to purchase the car seat adapter separately. 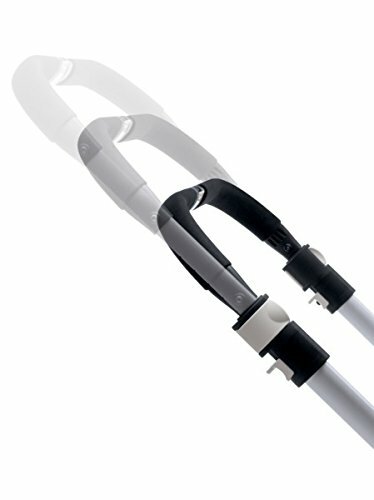 Since most parents aren’t the same height, an easily adjustable handlebar is essential in a stroller. 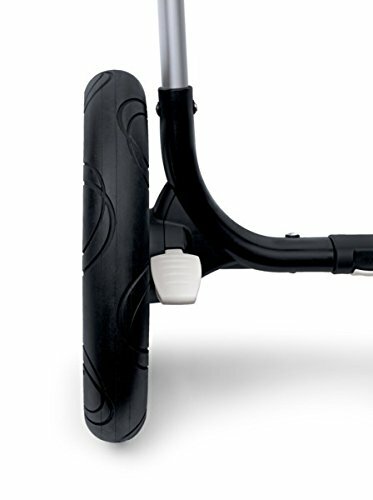 The Donkey makes it easy to change the handlebar height between eleven different settings. They’ve also solved a problem that some taller parents have with their strollers. Their design allows tall parents to be farther away from the stroller, meaning that they won’t kick the undercarriage—a common complaint in other brands. Your baby’s safety depends on a well-functioning brake, which is why we like the Donkey’s. You use your foot to engage it, which makes it simple. It’s easy to set and release, and you can feel the stroller immobilize completely. Some mothers have noted that the brake is easy to engage even when wearing high heels or flip-flops. Finding a lightweight convertible stroller is hard. The Donkey weighs in at a considerable 29.3 pounds. While it’s not the heaviest model on the market, it’s important to keep in mind that this is by no means a lightweight stroller. Bugaboo’s newest version of the Donkey came with a serious wheel overhaul. Previous versions had air-filled tires, but the latest model comes with foam-filled tires. Air-filled tires handle all types of terrain, but they have a significant drawback: you have to remember to inflate them. As an exhausted parent, not remembering to inflate stroller tires could cause a flat while out and about. Not ideal. The manufacturer addressed that problem in the new Donkey. Foam filled tires are great because you can forget about inflating them, yet they still provide the same fantastic stability and smooth ride. 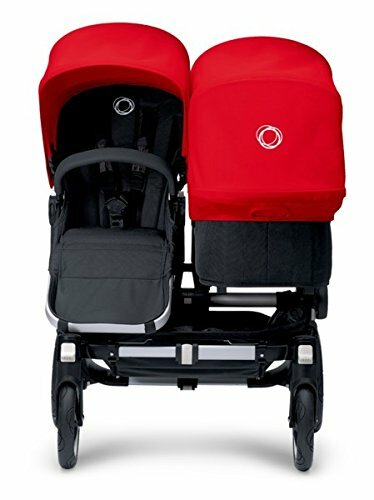 Always an issue with convertible strollers, especially when loaded with groceries and baby’s things, Bugaboo has created an option with excellent maneuverability. 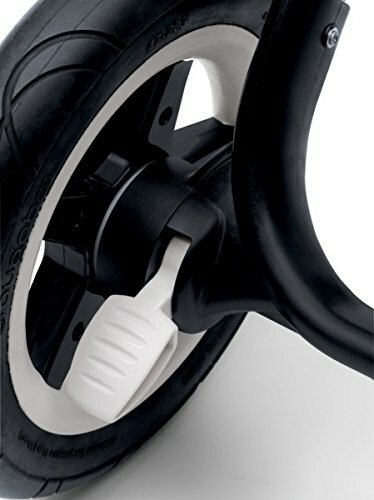 It’s easy to push, even if you’re only using one hand, and the turn radius is quite ample due to the front swivel wheels. The foam filled wheels contribute to the Donkey’s maneuverability. They allow you to navigate terrains like gravel, cobblestone, and uneven ground. If you’re using the Donkey as a single version, the side basket is a great place to keep the things you need right at your fingertips. We also love that the latest Donkey model has included a cover on the side basket for added security. That said, storage is one area where this stroller falls a bit short. Parents using the Donkey as a double stroller only have the under seat area available to store their things. Things can get a little tight if you’re using the bassinet. That said, you can access this storage from both the front and back of the stroller, which is useful. The Bugaboo Donkey is a sophisticated high-end stroller that will serve you well during the first few years of your child’s life. The ability to go from a single to a double stroller is great for families with children close in age, making it a practical space-saving purchase. It’s also a fantastic choice for urban families looking to expand. And there’s a reason Bugaboo is so popular among celebrities—it’s a great looking stroller! 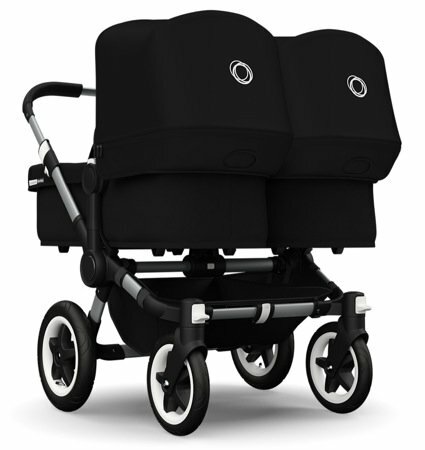 Both you and baby will be able to get around town not only in comfort but in style. That said, we know that this model is one of the pricier ones out there and it may not be for everybody. You may want to consider the more moderately priced Phil and Teds Voyager, which we have reviewed on our list of the best tandem strollers. You can also check out a comparison of their different models. This is another fantastic luxury stroller option with versatility rivaling the Donkey. It’s a lighter model with a 4-in-1 adaptable seat. This stroller starts in bassinet mode for newborns and converts to an upright stroller seat when the baby is a little older. Its intelligent design also means that you don’t have to change the structure like you would with the Donkey—you merely add another bassinet when baby number two arrives. Both bassinets later convert to upright stroller seats, making for a truly versatile stroller. Another thing we like about Phil and Teds Voyager is that it’s light and folds up to a compact stand fold. You can even fold it with one or both seats attached. However, the staggered design of this stroller may not make it the best option for twins. We’ve researched all sorts of twin options that we think may be a better fit for twin parents. We wish you the best of luck in your stroller shopping endeavors!